Another high-quality outdoor product from Bear Grylls has arrived. 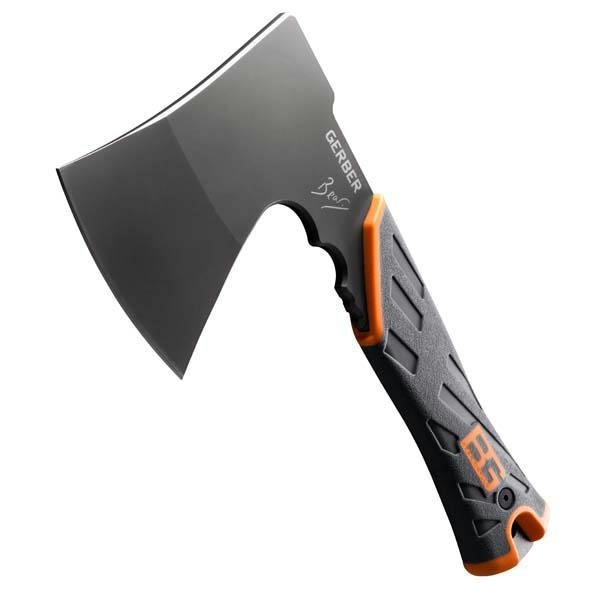 The Bear Grylls hatchet or axe is an essential outdoor survival tool. Its compact size and solid build make it the perfect companion when surviving in extreme or hostile conditions. 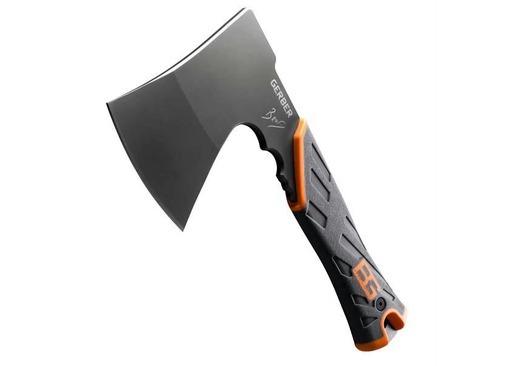 Designed by Gerber in conjunction with Bear himself, this hatchet is the ideal tool for the construction of survival shelters, chopping kindling for the fire, making feather sticks, butchery of small game and any bushcraft or survival job where a knife is simply not strong or heavy enough. The design of this little axe is flawless, and the balance is incredible. The bulk of the weight has been positioned in the head meaning it really punches well above its weight in the world of outdoor axes. 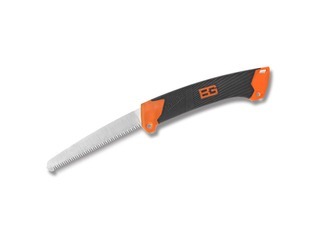 The 3.5-inch cutting surface is incredibly sharp from the box and it will easily cope with the limbing of small trees and splitting logs for the fire. 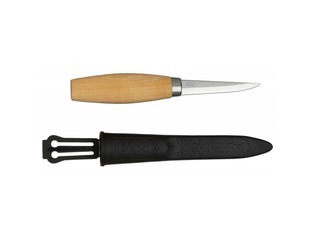 The hefty full-tang handle is surrounded by a textured high-friction rubber grip that's useable even in the worst weather conditions and it's comfortable even after prolonged use. 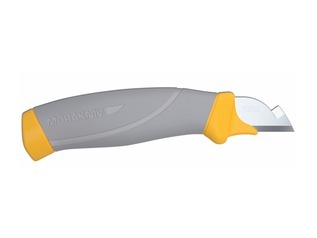 The base of the handle also has a place for an optional lanyard. 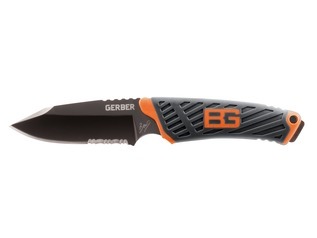 Gerber have made the Bear Grylls hatchet multi-functional in that the back of the head can be used in place of a hammer for securing tent pegs into the ground, or even tenderizing meat in the outdoor kitchen. 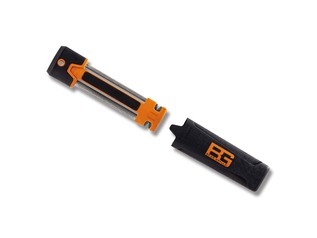 All in all, the Bear Grylls hatchet is a truly superb tool that has been made to an exceptionally high standard. And what's more, a military-grade mildew-resistant sheath has been included, meaning it can be added to your belt, or kept within your rucksack safely. Plus a free survival guide has been included should you ever find yourself in a tricky spot. "Ive had this hatchet now for a couple of weeks and have had time to play and get used to it. Firstly, it is not an axe to cut down trees! That is not its purpose so if you want that, get something else. 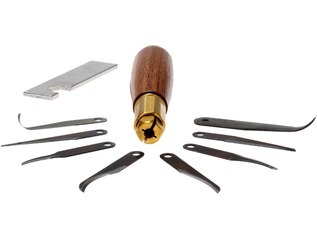 It is a light weight, easy packable cutting tool that you can include with your other emergency equipment and use if circumstances require it. It is a solid hard working piece of gear that Im confident that if I need it to help get me out of a difficult situation in the wilderness, It wont let me down. Many thanks."